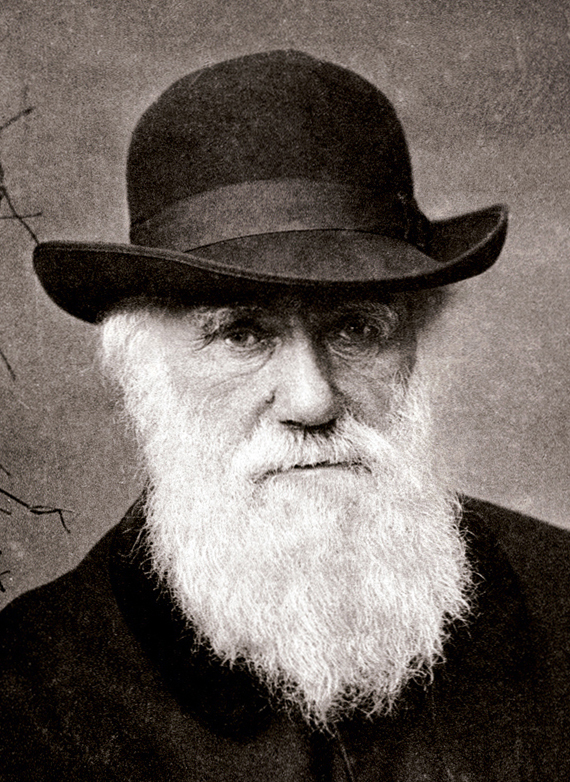 Charles Darwin was born on 12th February 1809 in Shrewsbury, Shropshire, England. He was born to Robert Darwin and Susannah Darwin. Together they had six children and Charles was the fifth child. Robert Darwin was a wealthy social doctor and a financier. The Darwin family was Unitarian and Charles and his siblings would accompany their mother to the Unitarian chapel. Robert Darwin was, however, a free-thinker and had baptised Charles in the Anglican church. Charles Darwin resting against pillar covered with vines. In 1817, the 8-year-old Charles had his first experience with natural history at the day school he joined. After his mother’s death, Charles in 1818 joined his elder brother Erasmus Shrewsbury School as a boarder. In 1825 Charles worked as an apprentice doctor and assisted his father in treating the poor people of Shropshire. In 1825 itself, Charles joined the University of Edinburgh Medical School with his brother, Erasmus. He, however, did not like the lectures at the school and thus ignored his studies. During his 2nd year, Charles was a part of Plinian Society which was a natural history group. Charles even assisted Robert Edmund Grants study of the anatomy and life of marine invertebrates and on 27th March 1827, Charles at the Plinian presented his own finding that the black spores found in the oyster shells were actually the eggs of a skate leech. The fact that Charles neglected his studies was not taken well by his father and soon Charles was sent to Christ’s College, Cambridge for the Bachelor of Arts course. Charles not being qualified for the degree joined the ordinary degree course in 1828. Charles liked riding and shooting in comparison to studies. He also became friends with the botany professor, John Stevens Henslow. Charles, however, focused on his studies when his exams were near. What did Charles Darwin do? During his stay at Cambridge, Charles studied Paley’s Natural Theology. His studies further encouraged his passion for natural science. Charles had gone on an expedition on Beagle in 1831. this expedition lasted for around 5 years and established Charles as an eminent geologist. During his voyage, Charles found fossil bones of a huge extinct mammal. Charles even identified a not so commonly known Megatherium with the help of a tooth and its connection with a bony armour. By the time the excavation was over in 1835, Darwin had become popular within the scientific circles. Charles was soon elected to the Council of Geological Society.